Apparently the Paleo Pancakes trend has come and gone. Throughout January, my post on Simple Paleo Pancakes (the kind that involves one banana and two eggs) was pulling big traffic into my site. 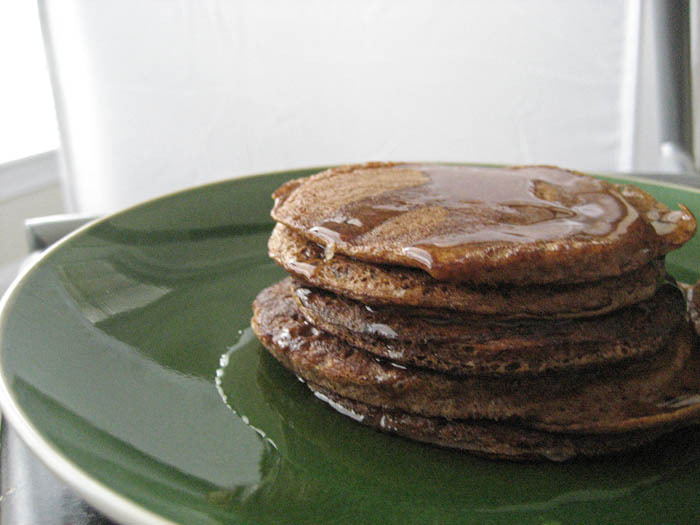 Either everyone has now figured out how to make the two-ingredient paleo pancakes and no longer needed to search, or everyone has given up on eating healthy and is making thick and fluffy buttermilk pancakes these days. I, however, will resurrect the paleo pancake today. 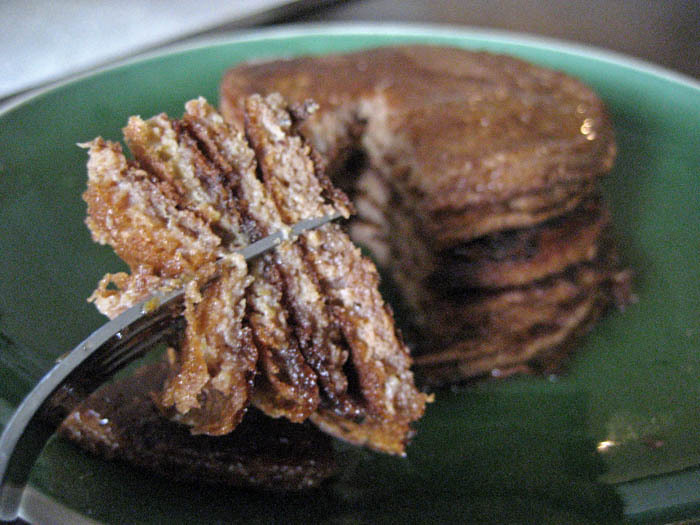 I will be Justin Timberlake : I’m bringing Paleo Pancakes back. This debate has come up already amongst friends and fellow food bloggers, so let me set the record straight (and I’m looking at you Starbucks), pumpkin is NOT out of season yet. It’s still cold. So there. Technically with me, pumpkin never goes out of season. Cause I AM a punkin. And FYI, you can still get pumpkin spice latte from the machines at QuikTrip. I like to sweeten my coffee with it. 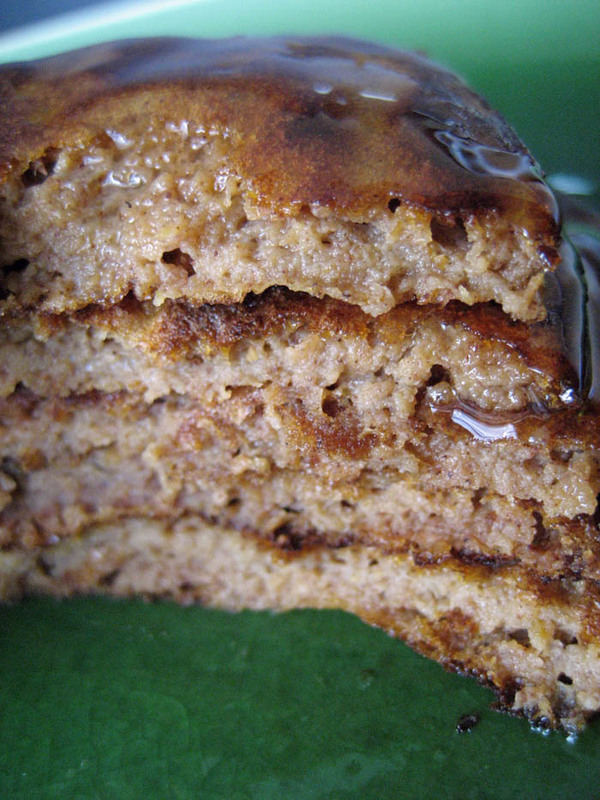 Pumpkin Pancakes were one of my first posts on Adventures of a Hungry Redhead. 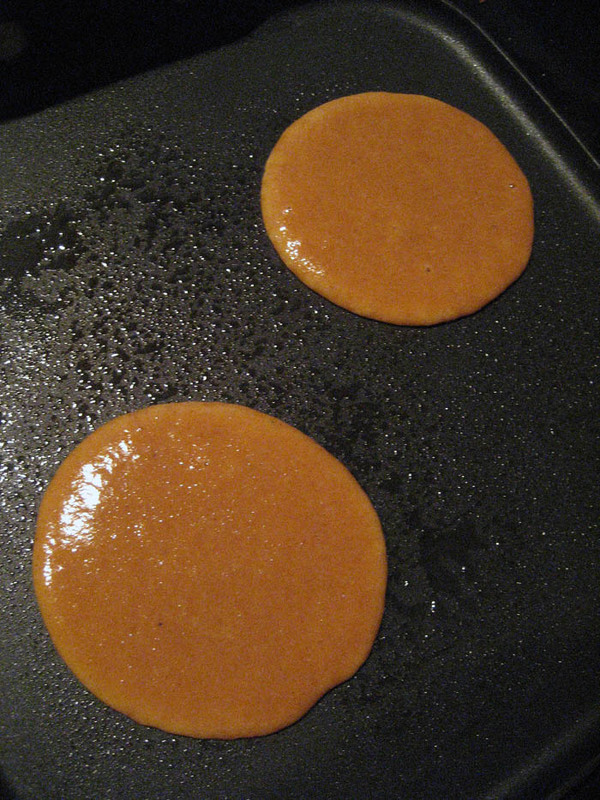 Obviously, I am a fan of what happens when pumpkin meets pancake. So why not do a paleo version? You might just have half a can of pumpkin sitting in your fridge leftover from the holidays anyway, and we don’t want to let that go to waste. 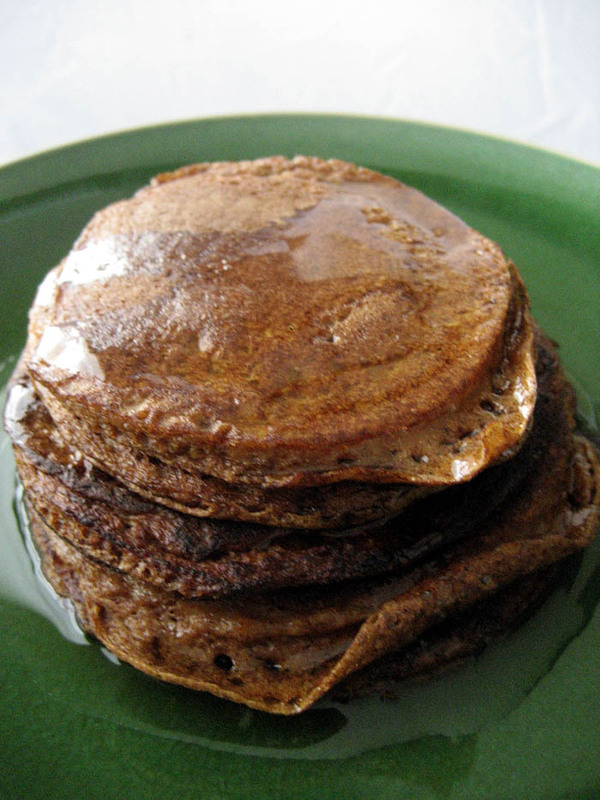 These pancakes have more flavor than the simple paleo pancakes, duh because of the pumpkin, but also because of the maple syrup and spices. The use of four eggs gives you more pancakes, but also a heartier batter and slightly thicker pancake. Where the simple paleo pancakes tended to spread into unusual shapes, these pancakes hold nice circles when they hit the skillet. I learned recently that beating egg whites until frothy makes for fluffy pancakes, so I applied that theory to this recipe and it could be what made them more voluminous than the simple paleo pancakes. It’s an extra annoying step, because you need to separate the egg yolks from the egg whites, but I think it has merit. When I type these into a nutrition calculator it comes back with 466 calories for the whole batch! Take that Starbucks! Um, and I’ll have a vanilla bean scone too. Thank you. Separate the egg whites from the yolks. Whisk or beat the egg whites until frothy. Mix the egg yolks, pumpkin, vanilla, and maple syrup together, then gently fold in the eggs whites. Sift the pumpkin pie spice, cinnamon, and baking soda together, then mix into the wet ingredients. Butter or spray a skillet and warm over medium heat. Pour batter to desired pancake size (I find that smaller is better with paleo pancakes). When edges become opaque and bubbles appear, flip the pancakes once to finish cooking.